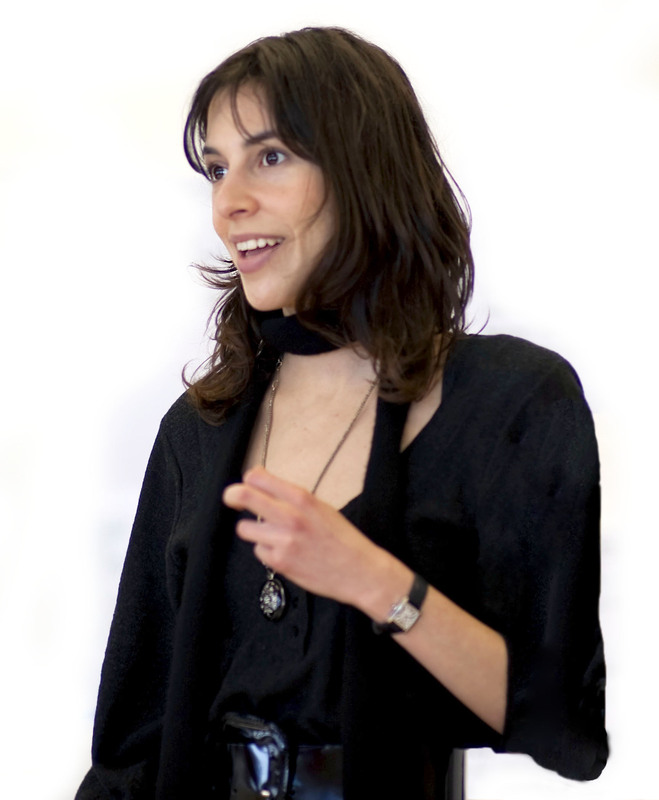 Just six years after leaving Cambridge, Natalie Abrahami became joint artistic director of the renowned Gate Theatre in London. She has an impressive CV but this hides the hard work, poor pay and lack of confidence she has experienced on the way. Now Natalie – bubbly, chatty, dare I say? grateful – is preparing for her debut stint at the Regent’s Park Open Air Theatre production of Shakespeare’s Pericles. Natalie has good memories of her childhood in Twickenham, and, through voracious reading, she seemed to have started to hone the skills of observation and empathy that are necessary for directing. ‘I attended Ibstock Place and Putney High School. I loved reading books and had a real sense that I wanted to know as much as I possibly could. I realised there was only a certain amount of experience you could have as one individual so I was living vicariously through books and trying to read more and more to find out what other things could happen to people. ‘I went to Latymer Upper School for my sixth form – I was among the first intake of girls in 1996 and that was really exciting. It was interesting to see how differently boys were taught than girls. I felt that in a class of teenaged boys. the teacher needed to earn their concentration a bit more so the classes were interactive and stimulating, with lots of questions and answers, and debates. The head of sixth form was also my English teacher and encouraged me to apply to university and set my sights high. Here Natalie started a six month stint working as a graduate trainee doing the administration for Ian Rickson, the then artistic director, and Barbara Matthews, the theatre’s executive director. They were aware of Natalie’s aspirations and extended the run to allow her to assist Ian on his play Fall Out. This was all part of the plan: ‘I had not got a degree in theatre direction so I wanted to do a kind of an apprenticeship, learning from directors I admired, my own version of an MA. After Fall Out, I worked for Michael Attenborough at the Almeida (expenses only! ), Tim Carroll at the Globe and Melly Still at the Lyric Hammersmith. At the time, I did a lot of theatrical temping thanks to my skill in touch typing. It’s the only skill I have,’ she adds, self-deprecatingly. ‘By this time I really wanted to put a play on and found a Belgian play Human Rites, translated it and with a producer raised the money to put it on at Southwark Playhouse. We had to raise the money ourselves and I remember writing letters to people who had made their careers in the theatre, saying, ‘You’re really successful. I would love to be like you. If you can remember what it was like starting out, please contribute anything!’ The majority of people who contributed were not people I had met before. For now, Natalie is busy in rehearsals for the Regent’s Park Open Air Theatre production of Pericles. When we speak, she is still casting but already has a clear idea of how the play will look. ‘We’ve taken Pericles, which is not very well known but is a brilliant show to introduce to a wider audience because it’s part of Shakespeare’s romances which he started writing towards the end of his career, like The Winter’s Tale. ‘Pericles has a lovely fairy tale element that works really well. We’re exploring the notion of a father and daughter being separated and being reunited. It’s a familiar theme in terms of storytelling but also one that can be true to life. ‘It has a fabulous setting already in Shakespeare’s play so we’ve taken inspiration from early Disney in terms of colour and pirate ships, like Disneyworld in Los Angeles, but have taken source materials that feel 20th century and present time. We’ve looked into all the nautical themes, and are trying to incorporate the sense of the journey, the adventure – it’s like a nautical themed playground, with lighthouse, ships, crows’ nests, fishermen and nets. Casting is interesting – we talk a lot about the original play and the adaptation. If you’re performing a play outdoors it becomes a different style of performance – the audience is not the fourth wall, in fact we are making the audience the sea! Natalie exudes such enthusiasm and joy with life and I suspect her job is all-consuming. Even when she says she is planning to go on an extended road trip in Sweden this summer, one suspects the experience will be used for future productions. And that can only be a good thing for theatre fans. Pericles opens for previews on July 2 and runs until July 23. 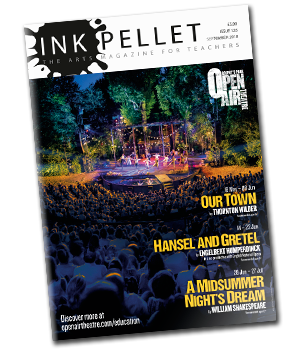 To book tickets, please visit www.openairtheatre.com.